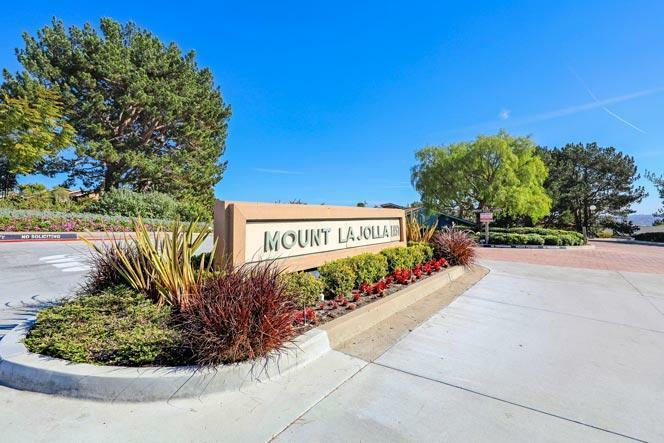 Welcome to the Mount La Jolla neighborhood in La Jolla. There are several sections of the Mount La Jolla neighborhood that includes Mount La Jolla East community which is located across the street on Soledad Mountain Road. 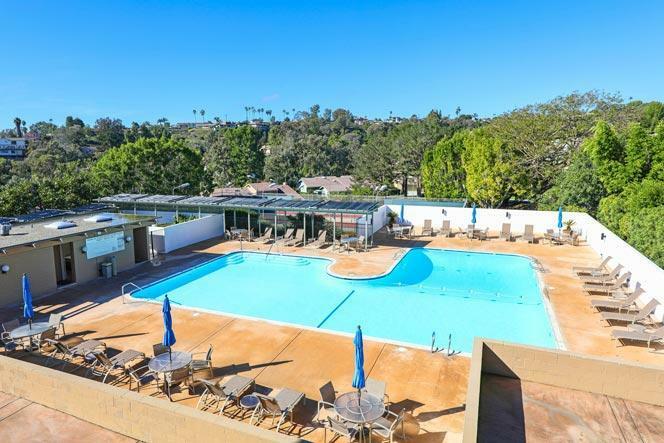 The homes are surrounded by a huge community clubhouse that offers plenty of guest parking, tennis courts and Olympic size pool as pictured below. The properties are actually twin homes that are attached on one side with a neighboring property but have the feel of a single family home. Interiors tend to be very light and bright with high vaulted ceilings and lots of natural light. a. Please contact us at 858-200-7562 for immediate customer service.